I have known Francois since I was born. Maybe I should mention that there was no doctor available at the Johannesburg clinic that day, and that Francois is my father. When a nurse gave him the scissors to eventually separate me from my mother’s body, he kept holding me in one hand. My mother told me later that this defines him: analytic, but bold, humanist but pragmatic. 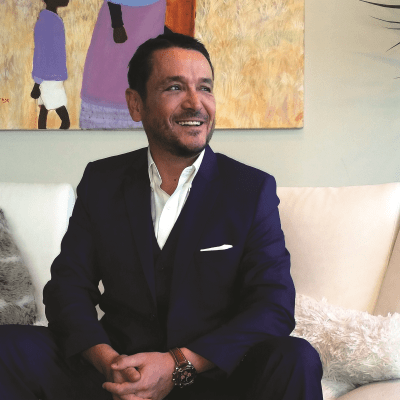 At 23, the international investments funds he was working for in Paris sent him to create an international consulting company in South Africa. My father was given his dream of living through these historical times, with Nelson Mandela just liberated and ready to show the world its next chapter. His first encounter with Madiba was also the first English book he ever read, Long Walk to Freedom, forever convincing him that his career would be with a purpose. Although, as everyone, Francois had to deal with the ‘money and success game,’ his ten years’ experience in a democratising South Africa was the defining time that has since steered him. Now an international consultant supporting sustainable democratisation, he is presently working with Aung San Suu Kyi to overcome the military legacy in Myanmar, but usually lives in Ottawa, Canada.